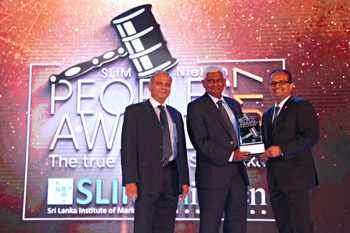 Ceylinco Life was adjudged the People’s Life Insurance Brand of the Year at the 2017 SLIM-Nielsen People’s Awards, reaffirming Ceylinco Insurance’s status as the most popular insurer in the country for the 11th consecutive year. It enjoys the rare distinction of being adjudged the People’s Insurance Brand of the Year every year since the awards programme was launched 11 years ago. For the first time this year, the award was presented separately to life and general insurance companies, following the segregation of insurance business by law in 2015.